This page contains various miscellaneous pictures related to the descendents of Robert Duncan and Rebecca Bacon. 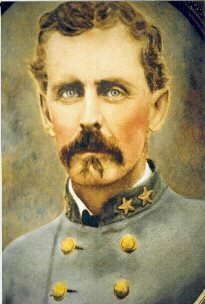 A photograph of Col. Robert A. Duncan, later colorized by his granddaughter, unknown date. Currently in possession of W. Warren Craghead, II. 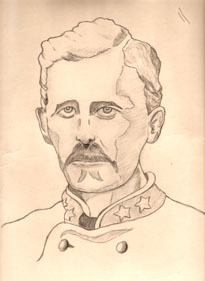 A sketch of Col. Robert A. Duncan, drawn by his grandson, George Comer "Toney" Duncan, Sr., unknown date. Clearly based upon the photograph of the Colonel. 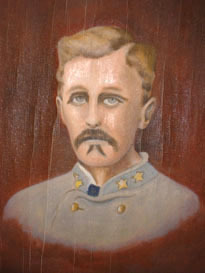 Currently in possession of G. Comer Duncan, Jr.
A painting of Col. Robert A. Duncan, by his grandson, George Comer "Toney" Duncan, Sr., unknown date. Though it was apparently painted early in his life, this was left unfinished, we believe, given the lack of detail on the painting and the lack of signature. Currently in possession of G. Comer Duncan, Jr. Please email us if you have any information about the Duncans, or are related to us!